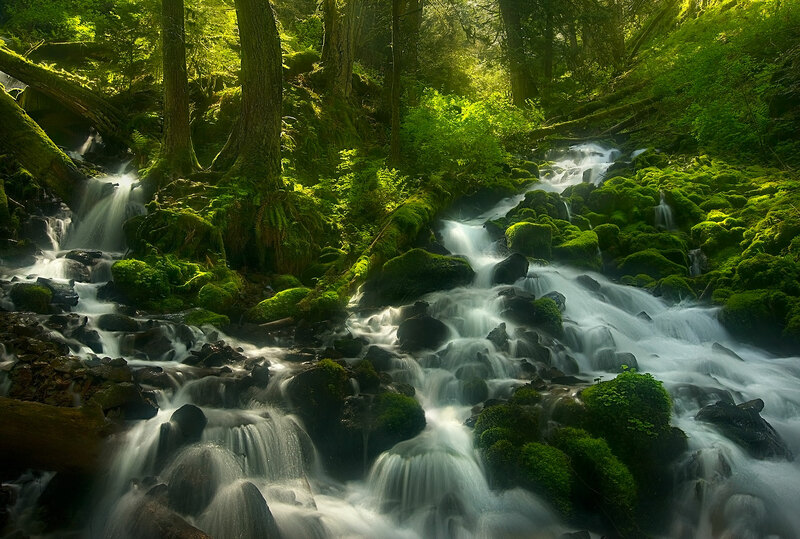 Sunlight sparkles through Old-Growth forest and beautiful cascades in Oregon's Columbia Gorge. I added diffusion effects and used two exposures worth of dynamic range to control the lighting conditions and render a painterly style of image. Photo © copyright by Marc Adamus.